LA VERNE, California, November 15, 2017 — Bonita varsity head coach Darren Baumunk is a cool (Bear) cat. He’s already lost two key players for the year (ACL injuries), but you don’t see any panic in his eyes or hear any excuses rolling off his tongue. Maybe that comes from his 23 years of coaching, including the last 13 coaching the Bonita varsity girls and collecting a Coach of the Year title in 2011, when he led a squad of Jaclyn Smith, Madison Zylstra, Taylor Anderson, Brianna Kennedy and Nikki Wheatley to the 3A championship game. Last year, he led a team, which was supposed to finish in the middle of the pack, to a league title, so he’s not worried about a couple of setbacks. 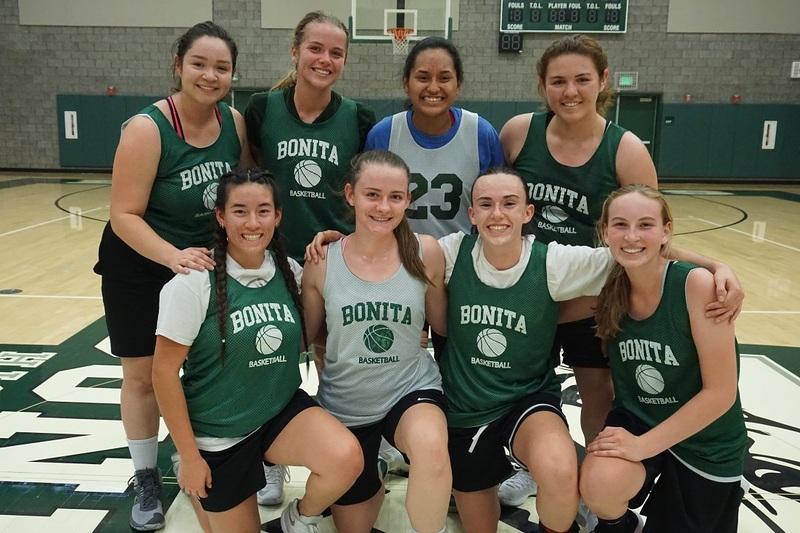 “I don’t care how good the opponent is, if we hang together, work really hard and play good offense and defense, anything can happen,” said Baumunk, who does double duty as the Bonita boys’ athletic director. 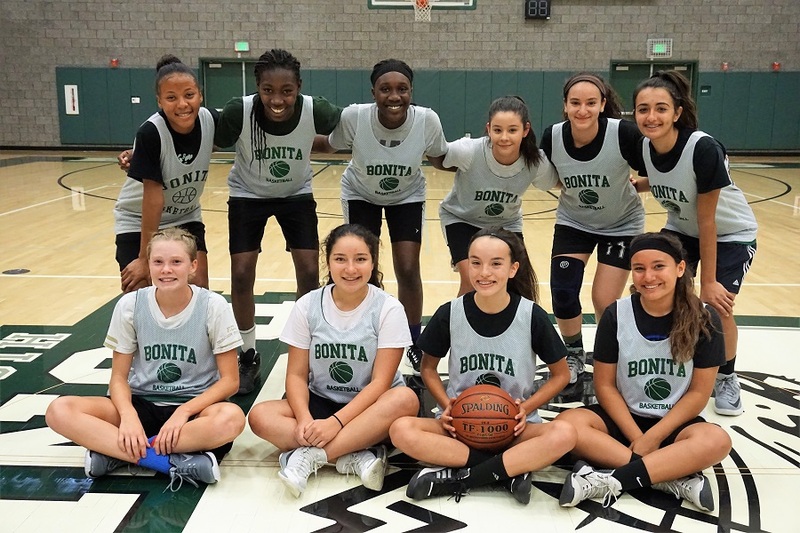 Over the years, his teams have knocked off a lot of giants, teams that clearly looked on paper as if they would blow out the Bearcats by double digits, but somehow Bonita prevailed. It’s the reason, he’s put perennial powerhouse Corona Centennial on his schedule this season, a match that will be waiting for Bonita after the Christmas break. “They’ll push us around, and that’s good,” Baumunk said. Bonita doesn’t pack a lot of numbers or size this season. Right now, the varsity carries only nine players, none of which can be called a true center. But again, Baumunk doesn’t appear fazed. What the team doesn’t lack are ball handlers. Backcourt duties will fall to guards Sami Riggs, Reyana Hernandez, Tiffany Hall and Juliana Garcia-Man. Sophomore Riley Bowers is another. Posting up under the basket will be Jocelyn Hipwell, Heather Hill, and Alana Moronez. Assisting the coach on the sidelines this season are Randy Bell and Tucker Ring. Jessica Cooke will handle the JVs with former Bonita star Darylyn Bolton assisting. Several members of the Junior Varsity could be pulled up to the varsity as the season revs up: Front, from left, Brianna Weber, Adriana Avila, Emily Manus, and Ava Arteaga. Back, from left, Cheyanne McLaurin, Alisha Wilson, Emma Kisaka, Janell Montes, Nadem Mohammed, and Sevana Gharibian. With winter on its way, remember that 986 Pharmacy is just up the street, ready to serve you!